The CUTMAX range of Metal Cutting Saws, are manufactured to the highest standard by our official partner in Taiwan. 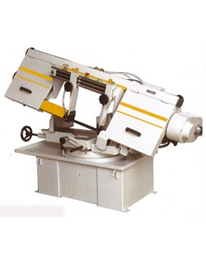 All of the metal bandsaw machines have been developed to suit the applications of the European market requirements. The excellent build quality and robust design of these tools make them the ideal machine choice for both on-site uses or in a workshop. The majority of warehouse staff we speak to consider the CUTMAX range of metal cutting bandsaws to be the most comprehensive circular sawing solution on the market to date. All the CUTMAX circular sawing machines have very quiet motors with standard variable blade speed control. This makes these metal cutting saws suitable for work on all types of metal including both stainless steel and aluminium. Telford Group boasts well over twenty years’ experience in the distribution of high-quality metal cutting circular bandsaws. 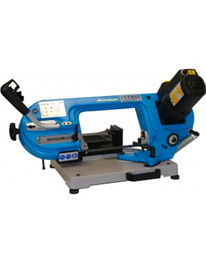 We have developed this exclusive range of metal bandsaw tools to offer the most competitive prices on well-built, robust and extremely quiet saws. From DIY to site use and for full industrial cutting applications, choose CUTMAX for the best possible solution. Telford Group Ltd are exclusive UK Importers and distributors for the CUTMAX range of portable and pedestal mounted metal bandsaw machines. They are available in 3 phase, 240-volt single phase and 110 volts. The larger single phase machines are particularly popular with rural engineers where 3 phase is not available. Telford Group Ltd offer this impressive range of machines at very competitive prices throughout the United Kingdom. These tools are distributed directly from our Telford Showroom and warehouse or from selected stocking dealer. They also come with full after sales service for the circular sawing blades, lubricants, spares and roller infeed and outfeed tracks for all applications. For more information on the entire range of cutting products that we distribute contact us today.